Looking for an end-of-summer read that will have you sleuthing for ancestors on your family tree or better yet, making plans to vacation in Corsica? Look no further! 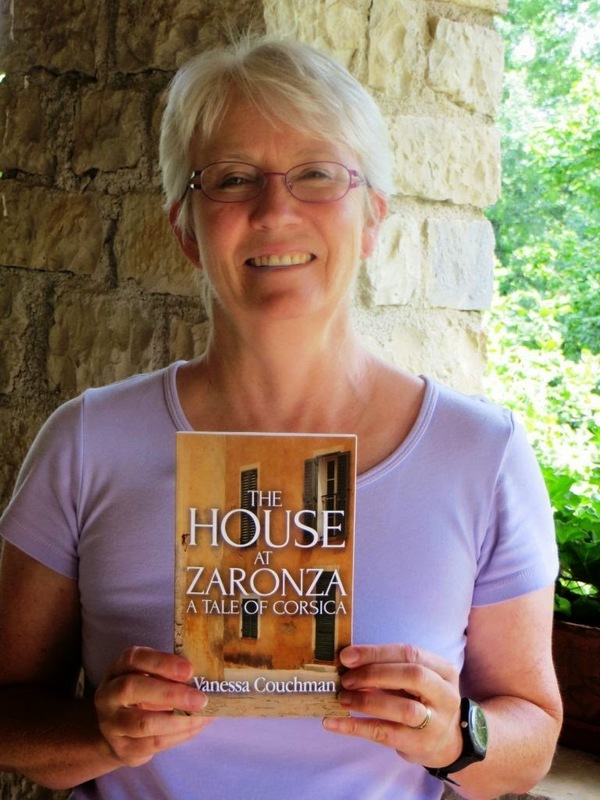 The House at Zaronza written by my friend, Vanessa Couchman is just the book for you. Published last month by Crooked Cat Publishing, this historical novel has it all...love, betrayal, reconciliation, and war all vividly staged against the beautiful Corsican landscape of the early 1900s. When Rachel Swift arrived in Zaronza, she felt strangely at home in the Corsican village previously unknown to her. She was there to search for information about her grandmother whom she had recently learned was born in Corsica. What Rachel found were love letters and the handwritten life story of Maria Orsini, a woman closely connected to her grandmother. Forbidden by her family to marry the man she loves and forced into a loveless marriage with her cousin, Maria endures a hard, insulated life in the highly patriarchal Corsican culture. In direct conflict with the norms of her times, though, she eventually becomes first a businesswoman and later a volunteer nurse at the Western Front during WWI. Her story is one that will have you turning the pages long after you should be asleep for the night! I left Vanessa's with both an appreciation for just how far women's rights have advanced in the last 100 years as well as one of Vanessa's research books about Corsica: Granite Island: A Portrait of Corsica by Dorothy Carrington. I think I've added a visit to Corsica to my bucket list! The House at Zaronza is available at Amazon in both paperback and Kindle versions. It is also on sale at SmashWords and from the publisher, Crooked Cat. All photographs are courtesy of Vanessa Couchman and used with her permission. I must read this Evelyn . We went to Corsica once, its lovely and I would love to go back one day.